Fun cookie baking shouldnt just be for Christmas, just switch up the colours and you can do fun baking at Halloween too! We have a box in our pantry that serves as a seasonal tickle trunk. Every now and again I’ll grab some sprinkles, some icing tubes, some random decorating items. We’ve got a collection of colours from pink and blue to red and green to black, orange, and purple. We’ve got little sugar dinosaurs, ghosts, bats, and more. Sometimes the boys just like to toss the sprinkles on top of a batch of brownies, other times we break them out for cookie decorating. We are not pinterest people in our home. Perfect piping on cookies will not even happen, so we choose thematic colours and fun cookie cutting shapes to celebrate each specific season. Here are some easy Halloween cookie ideas that we like to do with the kids. Grab your favorite gingerbread, or sugar cookie recipe and whip it up, and then use these fun cookie cutters and decorations to make them Halloween friendly! 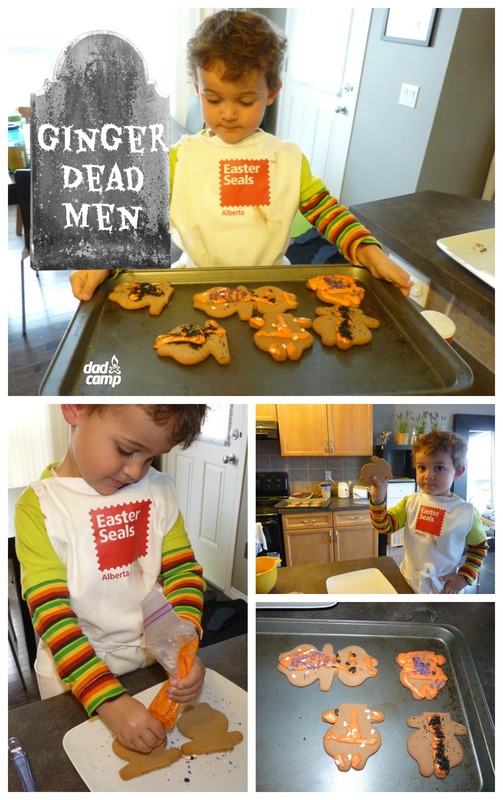 Gingerdead men cookies are dead easy. Make your gingerbread recipe as usual, except when you roll out the dough to cut out the gingerbread guys, cut the heads off and turn them into headless horsemen, or gingerdead men! If you want, you could just make the headless cookies, or save the rounded pieces off to the side to make little jack-o-lantern cookies. 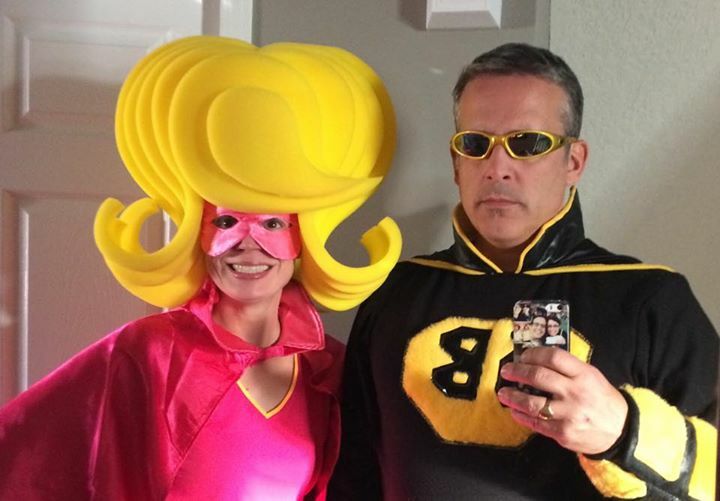 Sometimes the Halloween theme gets a little spooky for younger kids, ours are kind of like that. While they think witches, ghosts, and skeletons are spooky fun for the season, they don’t like to think about it too much. 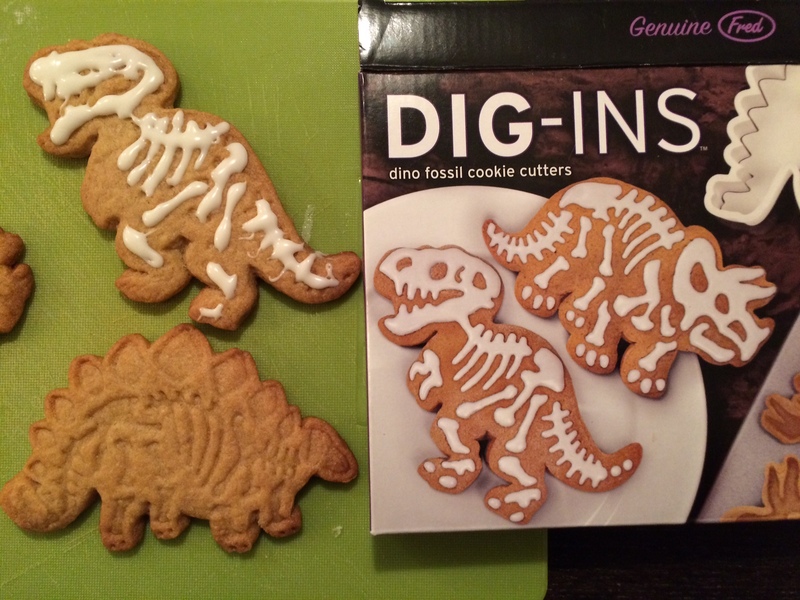 Last night we dug in to these Dig-Ins Dinosaur Skeleton Cookies from Fred & Friends. 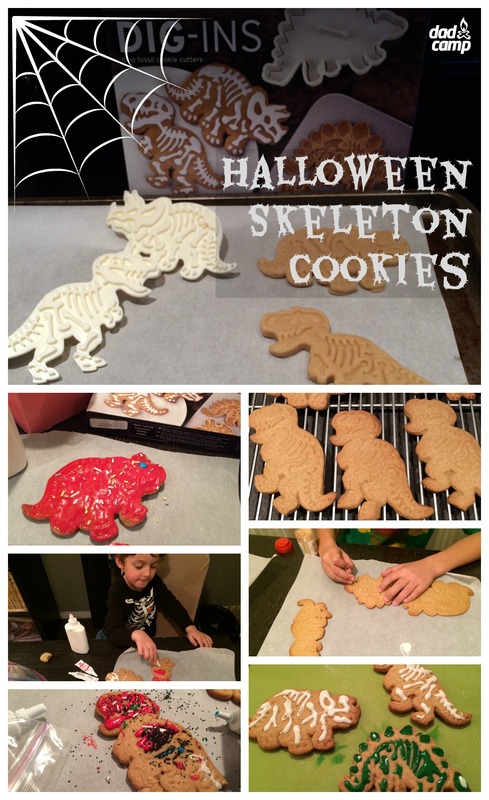 Make your sugar or gingerbread cookies as normal, but use these double cut outs to first get the dinosaur shape, and then press in the skeleton mold. Fred and Friends‘ website has tips for getting stamped cookies just right. 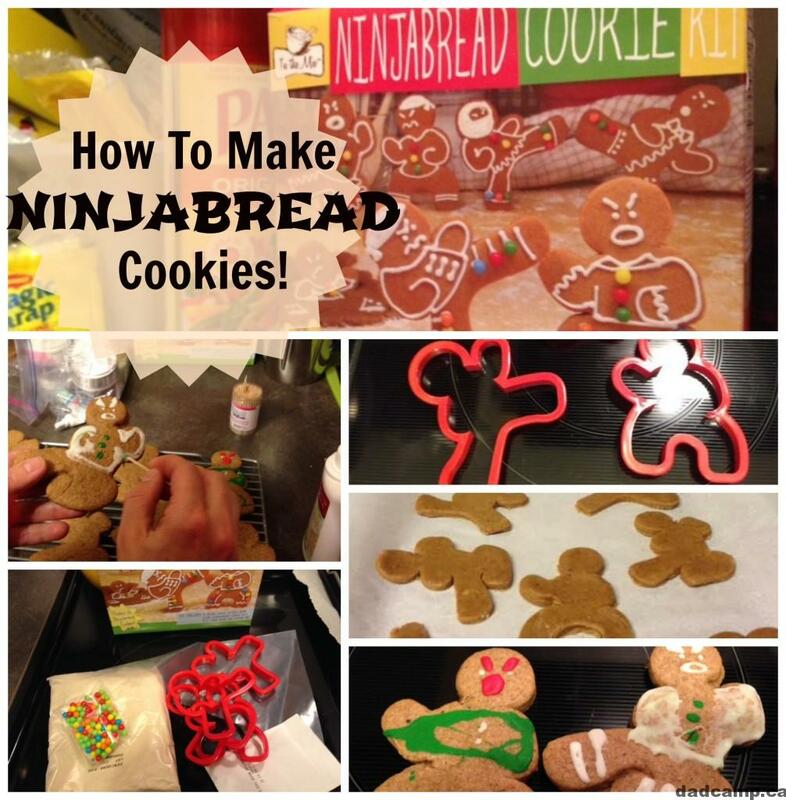 I mentioned these Ninjabread Men Cookie Kits as a Christmas cookie idea, but it works for Halloween as well with so many kids dressing up in costume. Substitute the green and red icing for black, orange, purple, and you’re on your way! What’s your favorite Halloween cookie to make with the kids?